Cameron Gott is the co-developer and senior trainer of the Coach Approach for Organizers™ program. An ADHD coach, Cameron works with professionals who want to match action with intention and take their game to the next level. 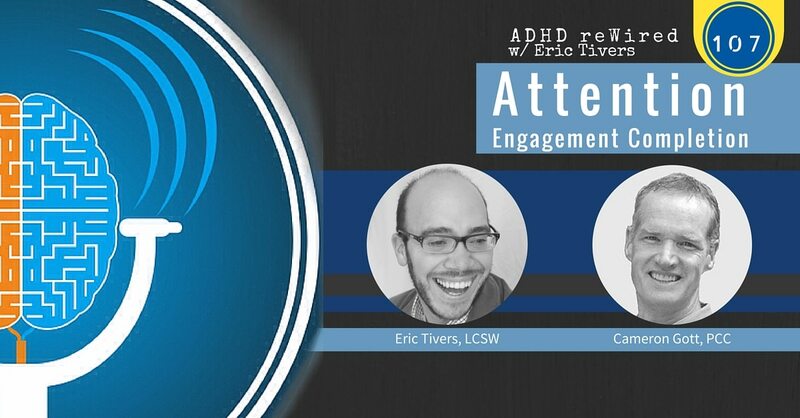 Besides coaching adults with ADHD, Cam mentors ADHD coaches-in-training and writes about a variety of ADHD work topics at his Global Creative blog . He is the chief architect of The AEC Model utilized in our advanced ADHD coach training course. With a background in education, Cam took his first coaching training in 1998 and subsequently received training and certification through the demanding program at The Coaches Training Institute™. Cameron goes speaks about what the Quakers believe, how they live and what his job at school entailed. He further discusses the difficulties is ADHD presented him. One of the biggest challenges ADHD presents for Cameron is writing. Cameron struggled in College and took calculus 7 times. Worried his ADHD would prevent him from graduating he hired a coach, without whom he never thought he would graduate. “The problem is not usually the engine, it’s the gearbox” ADHD people spend too much time revving our engines while in neutral. Cameron helps his ADHD clients to discover the tasks they need to do and the ones they can simply shed. People are either too far into awareness and do not achieve completion or they are trying so hard to complete a task that they simply are not aware. Visit erictivers.com/audible for a free audio-book download and to see a slide show of some great suggestions. If you do pick a free audio book, leave a comment on that page telling us what you chose. If you want to hear your question or comment on a future episode, go to speakpipe.com/adhdrewired or erictivers.com/adhdrewired and look for the comment form, or click on the yellow button for either “Be a Guest” or “Record your question”. Are you looking for a coach? You can schedule a free 20-minute consultation with Eric. Go to erictivers.com and click the blue “Schedule an Appointment” button.